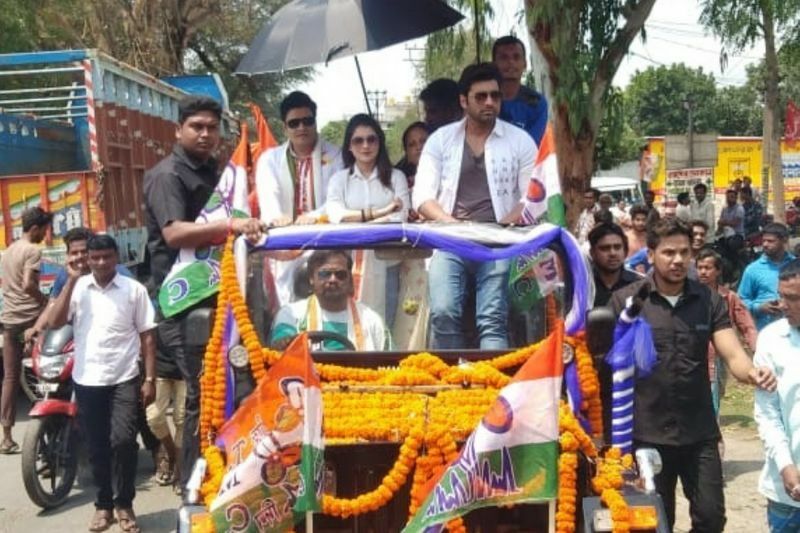 Ferdous, along with Tollywood actors Payel Sarkar and Ankush, took part in road shows in both Raiganj and Hemtabad. 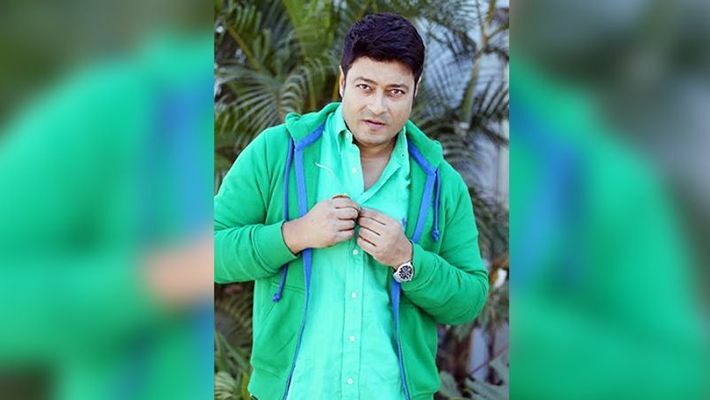 Kolkata: If NRC and Citizenship Amendment Bill were not enough to have a Bangladesh angle to the ongoing general election campaign, Bangladeshi actor Ferdous has filled the 'void'. On Sunday, what appears to be a first, Ferdous campaigned for Trinamool Lok Sabha candidate Kanaia Lal Agarwal from Raiganj in North Dinajpur district. Ferdous may be a popular leader but a foreign national nevertheless. Trinamool sources say Ferdous was approached by the ruling party to campaign for it in Bengal. It has not only raised the question of legality on whether a foreign national can campaign for any candidate in an Indian election but also raises a larger issue of whether he indulged in violation of visa conditions. This literally handed an opportunity to the opposition on a platter in a highly polarised election in Bengal where BJP is giving a tough fight to the Trinamool. BJP candidate Kalyan Chaubey said, "I have never heard this before. It seems the party doesn't have an Indian star for canvassing. Tomorrow Mamata will invite Imran Khan to campaign for the TMC. We condemn this." The Bengal in charge of BJP Kailash Vijayvargiya took a sharp dig on twitter saying, "It seems Mamata has a special affection for Bangladesh". This time, Bangladeshi infiltrator is a prime electoral agenda in Bengal. even Amit Shah in his multiple rallies has made this point clear how his party will implement National Registration of Citizenship (NRC) across India. NRC is a process that separates Indians from infiltrators. BJP state president Dilip Ghosh was quick to capitalise on this massive gaffe by the Trinamool saying the idea is to woo the Muslim vote bank. Bengal has an estimated 32% Muslim population in Bengal with districts like Murshidabad, Dinajpur, and Malda being minority dominated. Murshidabad has 67% minority population. With BJP adamant not to let go off this opportunity to consolidate its own vote bank, Trinamool is up for some tough time.